Facilitation Economic Growth brought new technology to Sri Lanka, strengthened institutions to support long-term economic recovery, and developed new value chains that link small-scale farmers to markets. This project began a few short months after the end of Sri Lanka’s civil war. 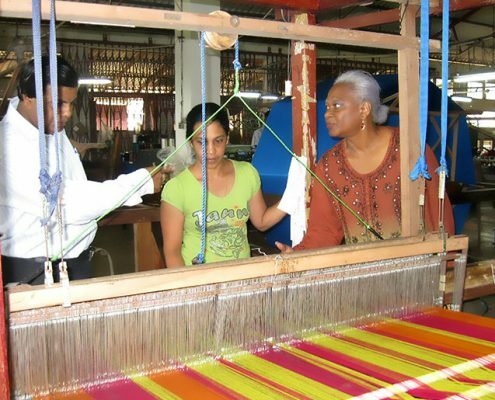 Facilitating Economic Growth revitalized the post-conflict economy through rapid, flexible technical support to individual businesses, cooperatives, NGOs, and government institutions in post-conflict regions throughout Sri Lanka, including Northern and Eastern Provinces. 8 handicraft businesses were trained and prepared to apply for Fair Trade certification. Farmed fishery costs were reduced by ~35% after improving supply chain management.